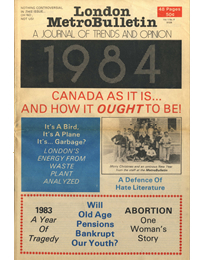 SPECIAL 24 PAGE INSERT – 1984: CANADA AS IT IS AND HOW IT OUGHT TO BE. Document Dated: Not dated. Estimated date: December 1983.